Every parent wishes they could turn back time at least once don’t they? That time you wrongly accused your little one of lying or doing something wrong, when they actually didn’t. The time you broke their heart by being honest, when really you should have helped them hold onto their (misconceived) dreams just a little while longer. Or the days when you just can’t cope with one more demand, one more whine, one more insolent reply and you snap, lose it, give it to them through double barrels. It happens, the first thing we learn as parents is that our sugar-coated “perfect” ideals and goals for how we raise our children into fine, upstanding members of society, far superior to ourselves, because obviously they’re cleverer, more beautiful…is never gonna happen. We’re humans after all and humans make mistakes. We get it wrong, we make bad choices. The bad stuff happens. It doesn’t stop us wishing though…that we’d swallowed our angry words, not opened our mouths to explain, not jumped to conclusions. So what if we could? Go back in time to that very moment we long to change, and make it better? Hold our breath. Count to ten. Walk away. Would it make life perfect? Would it be possible to have perfect memories if we could, like we can with our digital photos, edit out the bad bits? This is the question that Richard Curtis’s new film, About Time, explores in his usual way. At times hilarious, mostly real, believable, heartwarming and on this occasion, once or twice really breaking your heart and not in any way patronising to the audience. This film treats you like a grown up and doesn’t try to foist a 21st century Cinderella story on you. It wasn’t so much an emotional roller coaster, as a comedy that turned serious to make its point. The cynics in the audience might dismiss it as saccharine, but I found it moving, almost poignant. 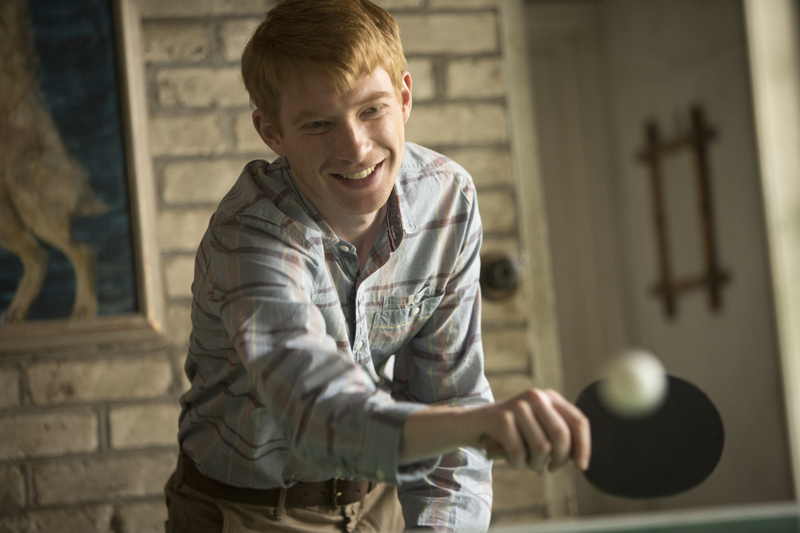 21-year-old Tim (Domhnall Gleeson of Harry Potter fame – he was a Weasley brother and Anna Karenina) is told by his father (Bill Nighy – The Best Exotic Marigold Hotel, Love Actually) that all the men in their family can travel through time. Backwards that is, not into the future, and only to moments in his own life. Being young and single, he decides to use this “gift” to get a girlfriend. Which, it turns out, is not as easy as it might sound. Rachel McAdams (of Mean Girls, The Notebook, The Vow) plays Mary, the love interest he meets on a double date after moving from the beautiful family home on the Cornish coast to London, where he works as a lawyer. I took Mayfair Dad to see it. A free date night, when you can get a babysitter for it, is hard to pass up as busy working parents, even if it is straight after work and won’t come with a nice meal out, but instead a hastily grabbed sandwich each on our way to the cinema from the office. I genuinely think the film brought us a bit closer together in a way that others haven’t been able to, because it was about a topic we can both relate to – family. We came out of the cinema, holding hands and agreeing we both want to make sure we create happy memories for our son, not just of the things we do together, the places we go, but of the things we say to each other, the way we feel about each other. Don’t get me wrong, we don’t feel we aren’t doing that, just that it never hurts to stop and value what you’ve got and vow not to take it for granted. Curtis’s film isn’t really about time travel and unlike earlier cinema successes for him, it isn’t about boy meets girl, boy messes up, boy loses girl, boy wins girl back. This is a story about family, pure and simple. Tim’s relationship with his father (Bill Nighy) can only be described as immensely cool. All the characters in his family are rather different but they all come together as a unit. Tim’s relationship with Mary is not just portrayed for his first, second and third attempts to win her heart or his various attempts to make sure they have the perfect wedding, the perfect best man’s speech. Instead it shows them sharing her Maida Vale garret, moving to a larger family home when they have a baby, Mary struggling with working motherhood. In short, it covers family life as it is – good, bad and occasionally ugly. It is a film about love, yes but it is about loving the life we have. Enjoying every minute that we will never get back, because we are not Tim. Link to the official trailer here. I really enjoyed this film and I hope I’ve reflected this in how I’ve rated it. I honestly fell a little in love with them all. Tim’s mannerisms did have a bit too much of Curtis’s previous heroes from time to time but not to diminish my enjoyment of it! After all, wasn’t it Hugh Grant’s characters in Four Weddings, Notting Hill and Love, Actually that made them so successful and appealing? Curtis’s story line follows a logical, if at times hilarious and a little confusing path to its conclusion. I won’t give it away but it was the right ending for this particular story. One of the most moving “feel good” films I’ve seen in a long time. Definitely Richard Curtis’s best yet. Disclosure: I received complimentary tickets to view About Time however all views are my own. 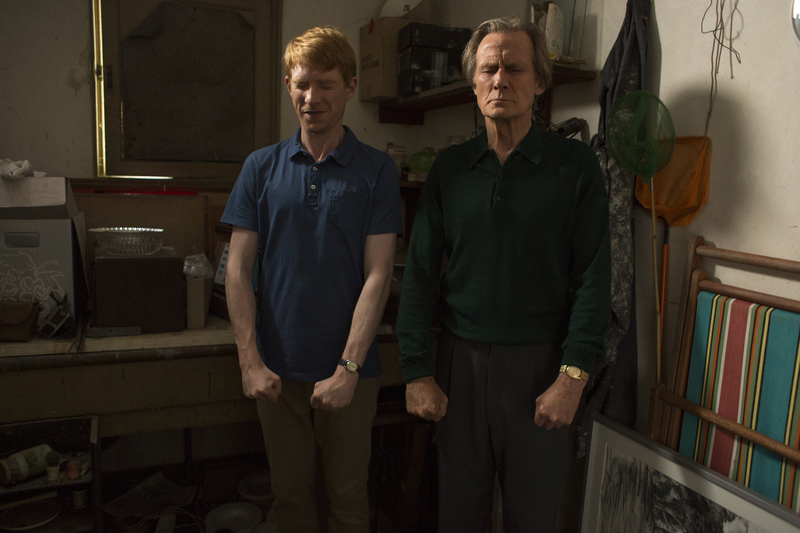 This entry was posted in Film Club, Reviews & Recommendations and tagged #AboutTime, Bill Nighy, comedy, date night, Domhnall Gleeson, DVD, family, film, growing up, Lindsay Duncan, love, Mayfair Dad, Michelle Pfeiffer, New Year's Eve, Rachel McAdam, reviews, Richard Curtis, Robert de Niro, romance, time travel, Ultraviolet by Mayfair Mum. Bookmark the permalink.